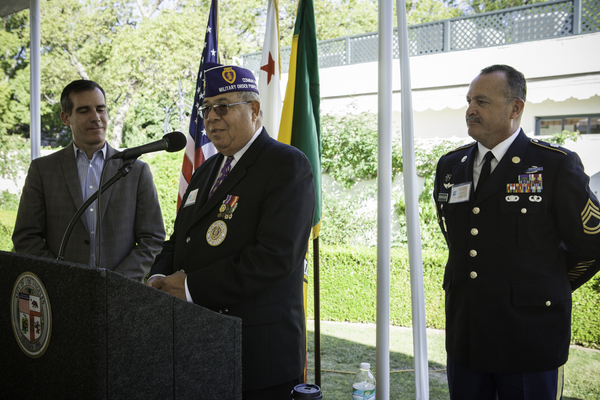 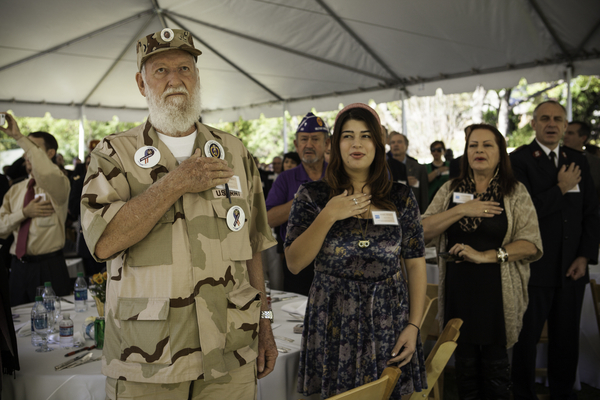 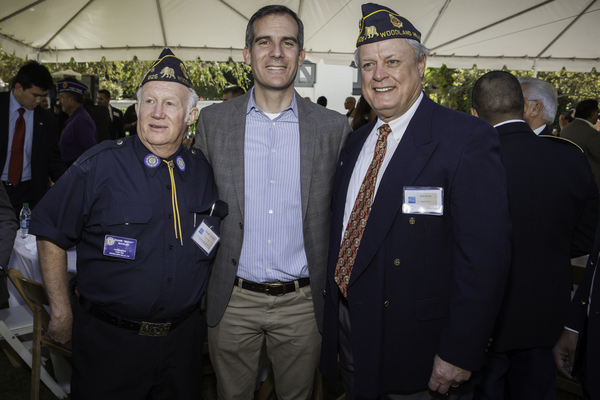 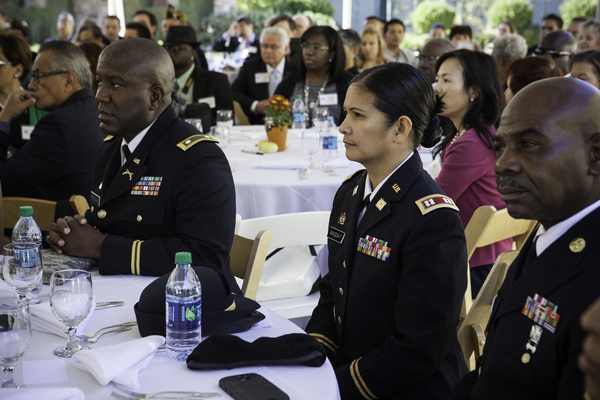 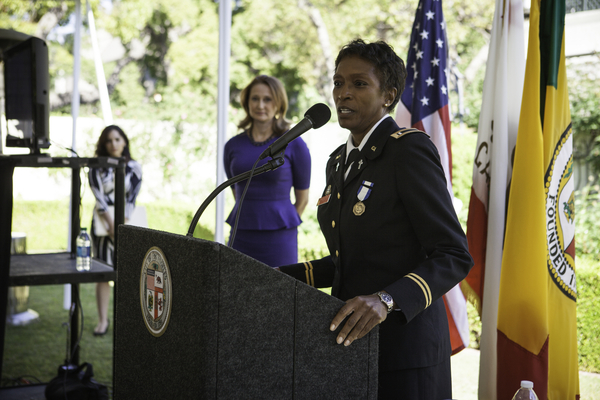 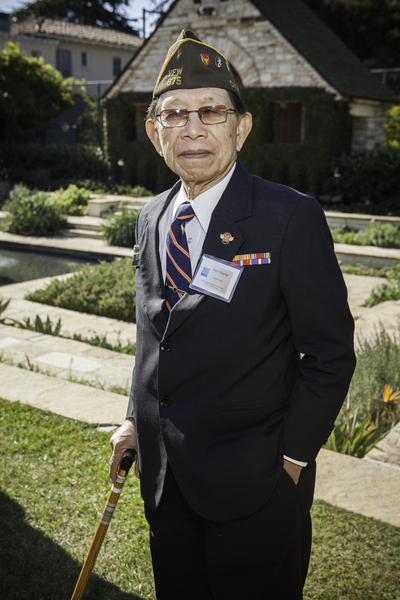 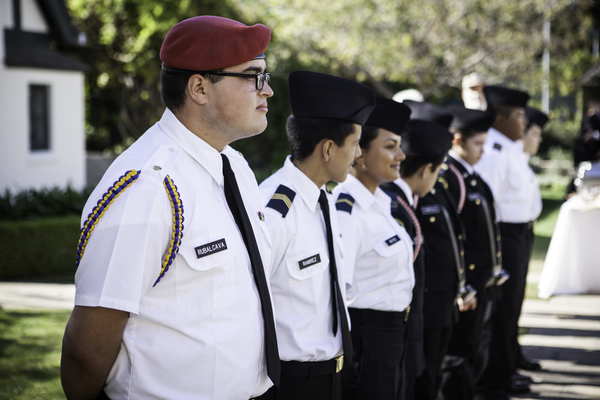 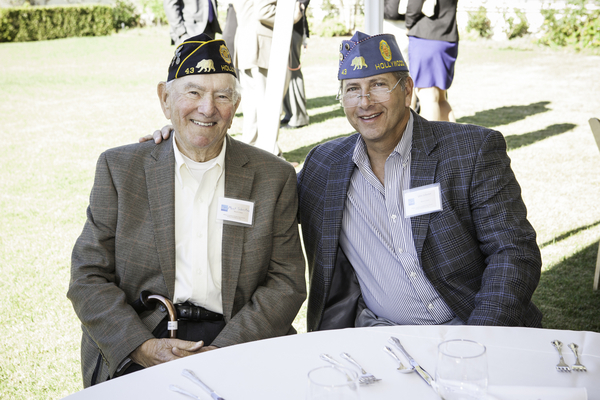 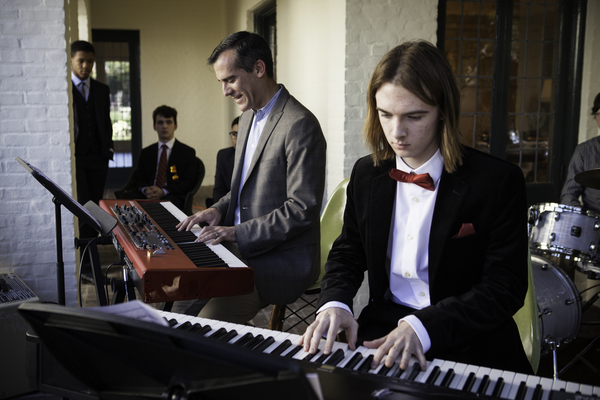 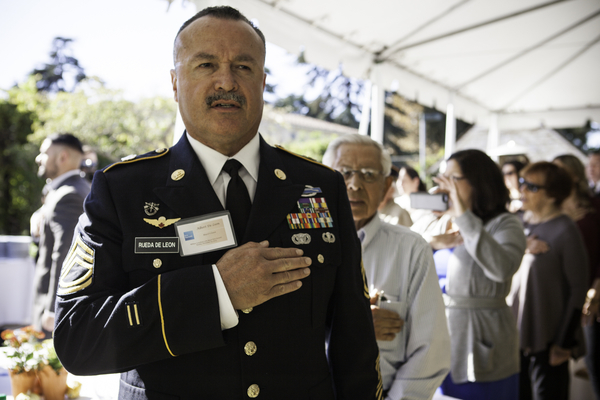 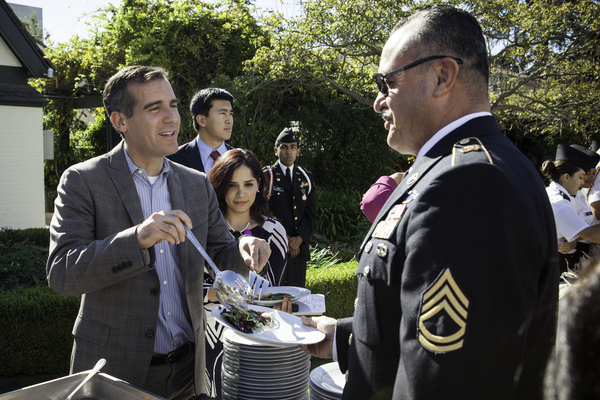 Mayor Garcetti, First Lady Amy Elaine Wakeland, and the Getty House Foundation Board of Directors hosted veterans and the families of service members serving abroad for a Thanksgiving luncheon. 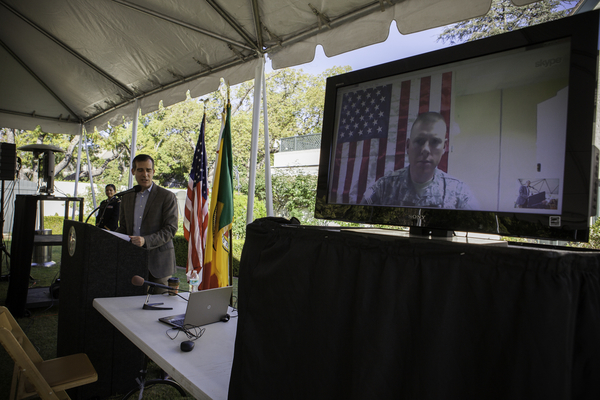 The event included a surprise video link to connect those service members serving abroad with their families. 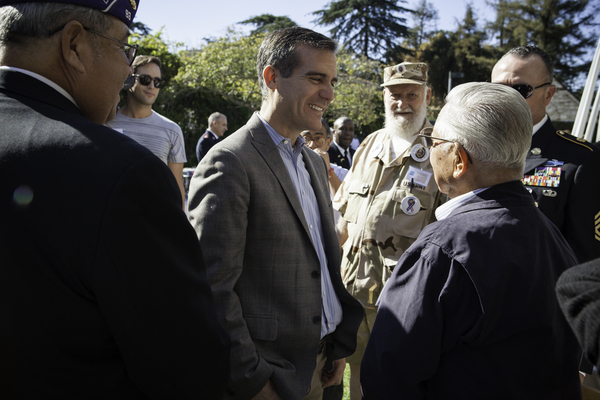 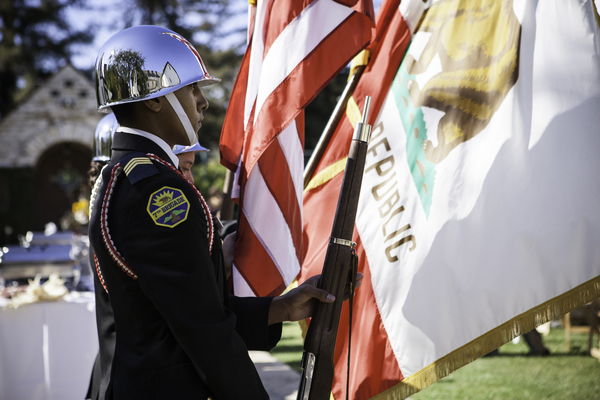 Mayor Garcetti created the first-ever Office of Veterans Affairs in the Los Angeles Mayor’s Office and has since launched his 10,000 Strong Veterans Hiring Initiative to partner with the private sector to hire 10,000 veterans by 2017.